My Dark Angels partner, Jamie Jauncey, was struggling to translate the title of my novel Spanish Crossings into Spanish. ‘Crossings’ has more than one possibility. Perhaps it would be even trickier to translate it into Basque, that mysterious language of the country where much of the novel originates. I was thinking about origins in more than one way too. My own family origins; the origins of Dark Angels; the university’s origins in the 13thcentury in the buildings where we were staying. This was a rich mix of emotions because I was running – with my Dark Angels co-founders Jamie and Stuart and new associate partner Elen – the fifth Dark Angels Masterclass, possibly for the last time. 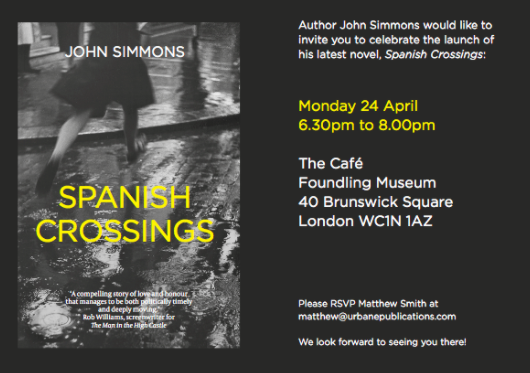 And it was also publication day for Spanish Crossings. We had a talented group, ten fine writers with the Dark Angels spirit. 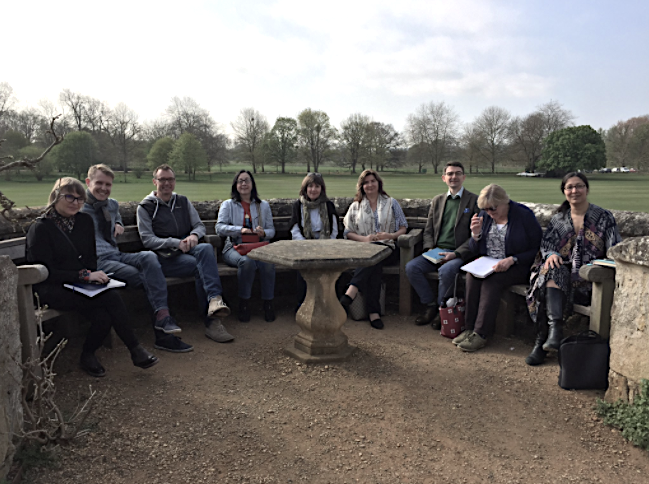 By which I mean we set them writing exercises, often with seemingly impossible constraints (not least of time) and of course they all rose to the challenge. The opening words, particularly if they can suggest the theme (“Mother declared herself happy”. The focus provided by the concentrated experience of a Dark Angels course (I had written the Prologue during one of our courses in Spain). Structure providing the framework to shape and direct the writing. Research, particularly provided by books and visits to significant locations. The stimulus of family stories, memories and photographs. I have told some of that story behind the story in previous blogs: the Spanish Civil War; the bombing of Guernica; the evacuation of 4000 Basque children to Britain; the adoption by my parents of one of those boys. Eighty years ago. Since I had written those blogs, more information had emerged about Jesus Iguaran Aramburu thanks to the help of new Basque contacts via Twitter. My special thanks are given to @gurimousen and @uaiartza who enabled me to track the story of Jesus Iguaran a little further. Now Dark Angels moves on to the next courses www.dark-angels.org.uk and now the novel Spanish Crossings is published. You can get a copy here goo.gl/9jVJCM I’d love to hear what you think of it. And I’d be interested to hear any translations of the title into Spanish, Basque, French or any other language. For what is a translation but a form of crossing?